2019 sponsors to be confirmed. Please get in touch if you or you're company would be interested in sponsoring our wonderful and very popular event. and we will only be too happy to send you a catalogue in the post. The award winning staff at Harpole day nursery work very hard to keep up to date with methods of childcare and nutrition and we are delighted to have been awarded with a number of accolades for our acheivements. 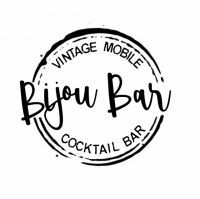 Bijou bar is a vintage mobile bar which offers deluxe and delicious, high end alcoholic beverages tailored to your tastes and theme. Why not come and find us on the green at Garners Way at the Harpole Scarecrow Festival and treat yourself to one of our superb Prosecco cocktails. Whether you played netball 20 years ago or 2 years agowe cater for all skills and ability. All you have to do is turn up, everything else is set up and ready for you. Contact us to find out how you can get involved with netball. Property managment & property maintenance services of a high quality and reasonable price. That's what Seward property soloutions aims to deliver time and time again. Based just off M1 junction 14, one of the largest choices of new and reclaimed office furniture. Vast stock of new, used and end of line furniture. The home of the open and closed top Routemaster buses. Serving Northamptonshire and surrounding counties. Providers of open top bus rides to Harpole Scarecrow Festival. Equally at home with large or small jobs. Mills Carpentry is a family run business that is constantly in demand by major, national house builders and domestic customers alike. With over 30 years experience. 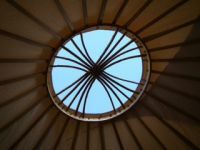 Willow View Websites, Kislingbury - "A fresh approach to the world of websites" - the complete website package - explained in plain English.